I was there! As a punky 14 year old.I still remember it like yesterday.First off they came out over an hour late.The Garden was nicknamed the "six day war" because of all the fireworks.VERY rowdy crowd as only a 70's crowd could be.One of the better runs of the erratic 77 tour was June in New York.Lousy sound in the cavernous Garden..No sound check either.BUT 3 hours of the boys was really something to see! Maybe time to update! 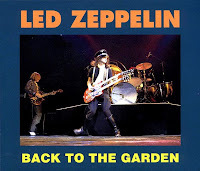 Recently discovered stereo SOUNDBOARD of this gig has just surfaced.Sounds great,band in great (for 1977)form.